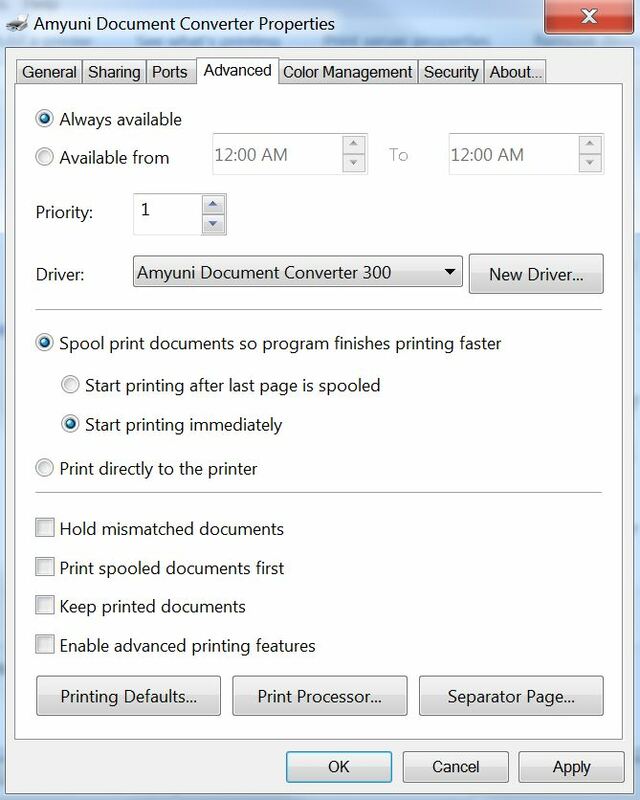 When printing to the Amyuni print driver on a Windows 7 64 bit workstation nothing happens. The program just hangs. Q: Why does the print job hang printing to Amyuni on a Windows 7 64 bit machine? Apply the changes and OK to finish.